PS4 Remote Play is the feature that enables remote access to your games on PS4, so you can play them from whatever device you’re connected with. 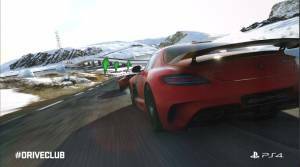 The performance of your client device almost doesn’t matter, as PS4 does all the processing. So you can enjoy your games wherever you are and whatever device you’re using, and here are some tricks on this. How great it is to sit at your large 4K TV, with Dualshock in your hands, playing some stunning action game on your PS4! That’s the way it’s supposed to be; but if you happen to be somewhere away, or your TV is occupied by your family watching some show you’re the only one not fond of… Well, there’s still a way. The Remote Play feature integrated in PS4 allows it to work as a game server, running games, receiving your controller commands, and broadcasting the picture to your remote device, no matter if it’s a computer or something mobile. Let’s see how this feature works. Now your system is ready. As you activate it via your account, it will turn on and load, without the need to do it manually. So make sure it’s always powered and connected to the Internet. There will be some limitations. Say, you won’t be able to get 4K content via Remote Play, it’s limited by 1080p. But on most mobile devices or PC’s you’ll be good with this. There are also games that don’t support it. Then it’s up to the developers to activate the feature in updates; there’s no way to get over this. Why play at your PC? There are some reasons you may need to prefer remote mode on your PC to direct playing. Let’s list some of them. Your TV is occupied by your family watching something that’s on right now. If you don’t want to join, you’ll be fine away playing. You need to record some gameplay video or make screenshots directly to your PC. There are other ways, but this one has its pros. You’re away from home, but you want to enjoy your favorite games. Luckily, the feature works over the Internet as well as in local networks. So you need an Internet connection and PS4 Remote Play PC application. There is PS4 Remote Play Mac application too. Both are available for free, being official, and both are set up in about the same way. You’ll still need your Dualshock gamepad, but it’s easier to carry than the whole console with a screen good enough. So, connect it to your PC and launch the application. It will connect to your PS4 as soon as it loads, and in Settings you can adjust video resolution, frame rate, and text input method. To activate the connected gamepad, press the Options button on it, as the instruction says. Then you’ll see the familiar interface and can start using your control remotely the way you do it regularly. While today’s mobile devices boast high performance and high screen resolution, you can play your PS4 games with them as well. It’s easier for Android users, because Sony offers the official Remote Play app right on the Play Market. Those with no Google Services installed may need to download PS4 Remote Play APK file and install it manually, with the same effect. You get direct access to your PS4 library and can select any game to play. The performance of your phone or tablet doesn’t matter (unless it’s very miserable), because most of the work is done by PS4 hardware. With PS4 Remote Play Android device is only responsible for video, you’ll have to provide stable connection. 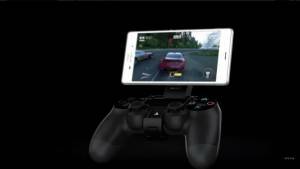 Android devices can handle virtually any wireless gamepad, including the official Dualshock. But you can as well use virtual controls on the screen, imitating Dualshock layout. Sony says you can get the best experience with Xperia smartphones, but, in fact, one can do some tricks on rooted phones by other vendors to activate it. To use PS4 Remote Play on iPhone, iPad, or even iPod Touch, you just need its official app. Oops! – it can’t be found in App Store. 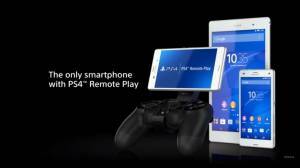 So, you’ll need a third party solution, named R-Play - Remote Play for PS4. It’s the only paid one in this PS4 Remote Play review, as the official release lingers (or so we hope it once appears). The second problem is that you will have to purchase the MFi-certified gamepad to enjoy physical controls. Jailbreak can help with connecting the original Dualshock you must already own, and you can find the instructions on that, but it takes too much mayhem (and still no guarantee). So maybe purchasing some MFi device that’s usually quite affordable is worth it. Keep it always online. If you activate all the features like we said above, you won’t need to keep it turned on. But the connection shouldn’t be interrupted. Wired connection is better for your PS4 than Wi-Fi, because it’s usually faster and more stable. Wired controllers work better, for the same reason, but a good wireless one is fine too. Make sure your computer, phone, or tablet is connected at least at 5 MBPS. That will suffice for stable streaming on your client side. If you’re leaving for long, you better make sure your Internet access is prepaid for all the time you’re going to be away. PS4 Remote Play can turn useful at any moment, so it’s great to have it on your PS4. Look around: maybe you already have all the hardware you need, like a cable to connect the console to your router, or an extra gamepad to use remotely. If not, think of purchasing them: it may cost you even less than repurchasing the games for PC or mobile devices (if these versions exist at all). The experience is generally smooth and dynamic, as remote playing features the same frame rate and no delay compared to playing right on your PS4. But your connection needs to be at least 5 MBPS to guarantee that. This links follow to webpage, where you will find links to official sources of PS4 Remote Play. If you are Windows PC, Mac or Sony user, then just click to button below and go to the page with links. Please note that this app may ask for additional in-app purchases and permissions when installed. Download Free Review of PS4 Remote Play. Having sound issues with PS4 remote controller? Find how to fix it within a couple of seconds! Sometimes you set up remote play on your PC and prepare for the game only to find out that everything works properly except for the sound. You reboot the system, fix settings and still have nothing. “PS4 remote play no sound” is not a game we’re fond of, so here are some tips on where to find the solution to this problem. 1. PC confuses your USB adapter with a speaker One of the reasons why the sound on PS4 remote play not working is because of the USB settings. If you’re using a wireless adapter, it may kill all the sounds on your PC, because Windows confuses your USB adapter with a speaker. Do this: on the bottom right side of the screen, you can see the “speakers” icon. Go ahead and hit it with the left click. Here you may see “Speakers USB Audio device”, which is your PS4 controller. For some reasons, your PC reads it as a speaker when you plug in via USB. You have to switch to “Speakers VIA HD Audio” as it is shown below and see if this works for you. You may also try this: go to your control panel > hardware and sound > sound while the adapter is plugged in. Disable the USB as a speaker. This will allow you to use whatever speaker you want (your headset, for example). Use the latest input matter and the official DualShock adapter, which allows you to wirelessly connect to your PC and get full sound without dropping. 2. You’ve started the game without plugging the mic in Sometimes you can start the game and only then plug your microphone in. If there is no sound, restart the game with your adapter unplugged and reinserted. Also, make sure the speaker's volume is turned up. Don’t forget to check if your microphone is generally working. 3. PC confused your USB adapter with headphones For some reasons, Windows may recognize your remote play as headphones. This problem also usually happens with Mac. Try this: Go to the sound icon in the taskbar and choose “playback devices”. Right click on the headphones and hit “disable”. Tried everything above and nothing happened? If you still have no sound, don’t forget that with Dualshock 4 you have a 1-year warranty period, so there is a possibility to send your device for a free diagnostics. PS4 Remote Play Windows PC / Mac Setup (Full instruction) In order to use Remote Play, you must first enable it on your PS4 by doing the following: Enable Remote Play: Choose [Settings] > [Remote Play Connection Settings], and then check the box for [Enable Remote Play]. Activate your PS4 system: Select [Settings] > [PlayStation Network/ Account Management] > [Activate as Your Primary PS4] > [Activate]. Allow Remote Play to start when PS4 is in Rest Mode: Choose [Settings] > [Power Save Settings] > [Set Features Available in Rest Mode]. Set up your PC or Mac for Remote Play Click on the link below to download the installation file for PS4 Remote Play and save the file to your desktop or other location (this link works for both Mac and PC): Run the installation file. An installation dialog box appears. Follow the on-screen instructions to install the application. During the installation, you might see a request to download additional software that’s needed to use [PS4 Remote play]. Follow the on-screen instructions to download this software. Making the Remote Play Connection Turn on your PS4. Connect the DualShock 4 to your computer with a USB cable. Launch [PS4 Remote Play] on your computer, and then click [Start]. Sign in with the same account you used for your PS4 system. 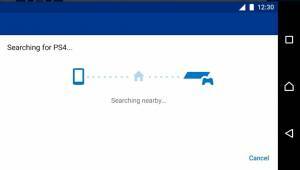 If your PS4 system is set as your primary system, PS4 Remote Play should find and register your system automatically. PS4 Remote Play 2.7.0 What's New: When entering text during Remote Play, you can now use the keyboard for your PC or Mac. Activate this feature under [Use Keyboard] in [Settings] or [Preferences]. 1080p has been added as a resolution for video quality in Remote Play. This option is available only on the PS4™ system (CUH-7000 series). Set the resolution under [Video Quality for Remote Play] in [Settings] or [Preferences]. Stability during use of some features has been improved. 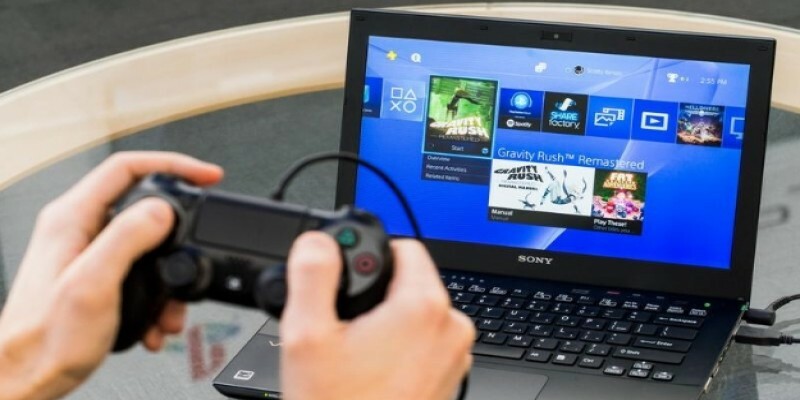 You'll need the following to use the PS4 Remote Play: Computer PS4 system DualShock 4 wireless controller USB cable or DualShock 4 USB wireless adaptor By using a wireless adaptor, you can use the controller wirelessly. Sony Entertainment Network account High-speed Internet connection For best performance, we recommend a high-speed connection with upload and download speeds of at least 15 Mbps. Hello everyone. We are the biggest PlayStation fans. Here we collected all the useful information about this game console. We provide the honest review of PS4 Remote Play app, installation guide, news about updates and future releases on iOS, Android (not only on Sony Xperia). Also, we are working on the community category that will be released in the nearest future. Download PS4 Remote Play and play favorite PS Games at PC and join our fan community. (C) 2019 PS4 Remote Play App Fansite. Honest review and useful tips. All Rights Reserved.